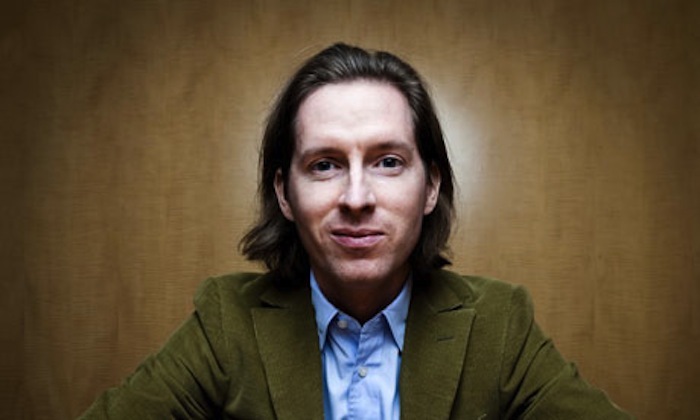 As The Grand Budapest Hotel expands into 304 theatres across the U.S. and Canada today, many Wes Anderson fans are anxious to find out how it stacks up against Anderson’s other movies. For a writer-director with only seven feature films under his belt, Anderson has a bigger following than most directors not named Tarantino or Nolan. While awaiting your chance to see The Grand Budapest Hotel, let’s a take look back at Anderson’s catalogue so far, from worst to best. Premise: Three friends (Wilson, Wilson, and Musgrave) plan a big heist in order to get into the good books of a local landscaper/part-time criminal. Verdict: Anderson’s very first film, Bottle Rocket is good, but not on par with the rest of his work. His trademark visual symmetry and posed shots hadn’t fully formed yet, which leads to moments of greatness interspersed with an equal amount of simply adequate scenes. Premise: An aging oceanographer (Murray) mounts an expedition to hunt down the shark that killed his partner, while also bonding with a man who may or may not be his long-lost son (Wilson). Verdict: It’s just as quirky as all of Anderson’s post-Bottle Rocket efforts, but a larger number of the quirks here fall flat than in any other of his films. The parts that work well provide great moments of poignancy and laughter, but stark shifts in tone from scene to scene and random moments of stop-motion animation keep The Life Aquatic with Steve Zissou from reaching the honest emotional heights of Anderson’s other films. Premise: A young boy at an island summer camp (Gilman) and a young girl who lives there (Hayward) fall in love and run away, leading to campers, family members, and the local police all searching for them. Verdict: Functioning like a Wes Anderson greatest-hits compilation of his six prior films, Moonrise Kingdom barely has an original idea in its entirety. Despite the movie reheating almost every quirk and trope from Anderson’s playbook, the movie does each bit remarkably well (and sometimes to a stronger effect than Anderson had previously achieved). Premise: Three brothers who have grown apart – pushy Francis (Wilson), insouciant Peter (Brody), and quiet Jack (Schwartzman) – re-unite for a train ride across India, on their way to meet up with their missing mother (Huston). Verdict: Many of the pieces from Bottle Rocket that worked strongest were retooled and put to even better use in this, Anderson’s most mature movie. Using effective drama to let the punchlines of the laugh-out-loud comedy pierce the film, The Darjeeling Limited was underappreciated by many upon its release but grows stronger with each viewing. Premise: The dying Royal (Hackman) tries to right all the wrongs he’s made over the years to his wife (Huston) and children (Stiller, Paltrow, Luke Wilson), and to get to know his distant family before it’s too late. Verdict: Perhaps the most quintessentially “Wes Anderson-y” of all his movies, The Royal Tenenbaums has served as the archetype for nearly every dysfunctional-family comedy since, from Running with Scissors to Little Miss Sunshine. One of Anderson’s best soundtracks showcases one of his best casts in a movie that takes few wrong steps, though slightly fumbles its final act. Premise: Chronic overachiever Max Fischer (Schwartzman) falls in love with a schoolteacher (Williams) and vows to win her heart at any cost, despite competition from his industrialist friend Herman (Murray) and a threat of expulsion from his principal (Cox). Verdict: Schwartzman ignited the screen in his debut role as the brilliant but immature Fischer and Murray’s performance changed his entire career path. Virtually every successful comedy set in high school since (see: Igby Goes Down, Napoleon Dynamite, Juno, Charlie Bartlett, The Trotsky, etc.) owes a debt to Rushmore in one way or another. Everything in the movie works perfectly, from the acting to the soundtrack to the cinematography. The difference in Anderson’s maturity as a filmmaker between Bottle Rocket and Rushmore is as clear as day and the final result is the only perfect movie he’d make until 2009. Premise: Mr. Fox (Clooney) has a mid-life crisis that begins with stealing hens and cider from local farmers and builds to an all-out war between the Fox family and the villainous moguls Boggis, Bunce, and Bean. Verdict: Don’t let the stop-motion animation fool you. The greatest Wes Anderson film – heck, one of the greatest movies about a dysfunctional family ever – is his adaptation of the children’s book by Roald Dahl. Expanding the lean story’s 96 pages, Anderson created a world that was more realistic than almost anything animation had achieved yet also a world more artistic than many live-action movies could dream of. Anderson’s love of both posed action and book-like storytelling was a perfect fit for the stop-motion tale. Nobody could have made Fantastic Mr. Fox the masterpiece it was except Wes Anderson, because he was the perfect director to tell the story of a fox who’s really not so different from The Darjeeling Limited’s Francis, Rushmore’s Herman, or The Royal Tenenbaums’s Royal.